It’s been a while, but it’s FRIDAY!!!! There are those who think that without Science, Money, and Humans the varroa mite, a parasite and vector of infection, along with some other pests and conditions will be the end of the HoneyBee. Those people could learn a lesson from some Chump Crickets – A NON-theoretical tale of how species deal with new parasites and selective pressures without Money OR Humans. This story tells me that hope should be placed in hardy organisms with a desire to survive and prosper rather than in Science, Money, and Humans. Putting faith in anything that involves both money and humans is a recipe for ridiculousness. What happens if ochracera finds a loud-mouth cricket. Several months ago I read an article on BBC News about Crickets. Sometime in the recent past (30-50 years), commerce and/or global travel provided two different Hawaiian Islands the BONUS of an invasive species of parasitic fly, Ormia ochracea. This fly likes to place maggots on the backs of crickets. They aren’t just passengers, the maggots burrow inside the unsuspecting cricket eating them from the inside out. They are merely crickets, but this cricket species came to PLAY! If all it took was a little parasite to kill off a species all species WOULD BE GONE already. 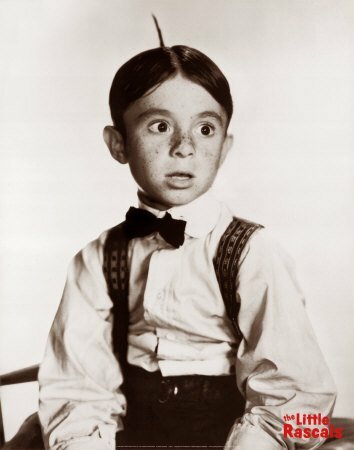 I am unaware of any species on this planet that is not in a relationship with at least some form of parasite. If anyone reading this knows of one let me know in the comments. As always I reserve the right to be wrong once in a while. Most crickets sing by rubbing their wings together attempting to attract females. Unfortunately there are times when a cricket makes it to adulthood and can’t sing. Being a mute in a species that values singing makes you a Chump (Mute) Cricket. In this case they have wings that lack the correct structures for creating sound. These Chump Crickets have probably made up a small part of the adult cricket population during less trying times, but weren’t highly representative of the population. In the cricket world “chicks” dig good singers. Even Chumps probably have gotten chance matings with less selective females, but the crooners were getting most of the reproductive attention. Just like the story of Rudolph the Red-nose Reindeer, mute individuals weren’t popular, but the silent trait was there anyway waiting for a Foggy Christmas Eve. Stolen picture of my favorite crooner. In this case it doesn’t matter how popular you might be with the ladies… If you die before you get a chance to mate, YOU DON’T MATE. Turns out these flies find male crickets through sound location. On these islands when a male cricket sings, flies tune in and lay maggots on the crooners. So guess what, despite being more attractive to females, being a loudmouth cricket will get you killed! It has all the makings of a dark and short children’s story warning kids about incessant chatter! “Chirpy the Cricket made noise AND DIED!” GOT IT!?! It is a sad case, but few people give a crap about crickets. Oddly enough this lack of empathy for their plight is probably helping to save them. Instead of Save the Crickets Campaigns and development of Pest Treatment Regimens, scientists devoted their time to observational SCIENCE! Things can be learned through observation of this developing host-parasite relationship. What a concept! Between 1991 (when they started monitoring the situation on Kauai) and 2001, Marlene Zuk and her colleagues documented major declines in the island’s cricket population. The crickets seemed to be no match for the parasitic flies. In one study, 30% of calling males were infested with the parasite, and in 2001, the island was virtually silent: the team heard only one cricket call! Such intense parasitism represents strong selective pressure favoring any genetic change that helps the crickets evade the flies. And in 2003, the team discovered the result of that selection: the cricket population had bounced back! The island was again crawling with crickets — but of the silent sort. When the team investigated further, they discovered the wing mutation. 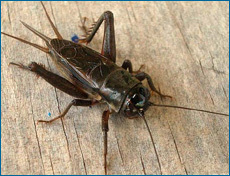 Between the late 1990s and 2003, in just 20 or so cricket generations, Kauai’s cricket population had evolved into an almost entirely silent one! Sound like a familiar scenereo?? In honeybess, varroa came on the scene and people freaked out and began treating with chemicals as well as a whole other list of Witch-Doctor-Like practices in order to SAVE THE BEES!!!! How has that worked out for us? Why aren’t we reading stories about the novel, innovative ways that bees are overcoming varroa? The Apis mellifera story is NOT playing out like the cricket example. Why? Such intense parasitism represents strong selective pressure favoring any genetic change that helps the crickets evade the flies. And in 2003, the team discovered the result of that selection: the cricket population had bounced back! The island was again crawling with crickets — but of the silent sort. People continue buying bees, treating bees, feeding bees, AND LOSING BEES. The play-book process repeats itself yearly yet humans follow the same plan expecting different results. Do bees need us to save them? If crickets can handle new parasites why wouldn’t bees? Apis mellifera undoubtedly has experienced great selective pressures but they are here…. 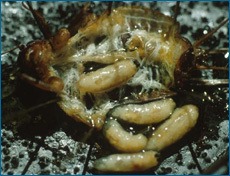 Since varroa’s introduction I believe feral bees in my area HAVE BEEN doing the same thing as Chump Crickets. It is my belief that ferals are a lot more common than most think. As far as varroa go the damage is done. The Varroa mite is a Pandora’s box we will never be able to close. They are here and they aren’t going to go anywhere despite OUR efforts to treat them away. We are going to be selecting for varroa better adapted for dealing with pesticides if we continue to treat bee colonies that cannot coexist with varroa on their own. As impressed as humans are with themselves I still question our ability to “save” anything. Honeybees are either going to have to find a way to live with varroa or they will cease to exist. It sounds dire, but I’m not worried. 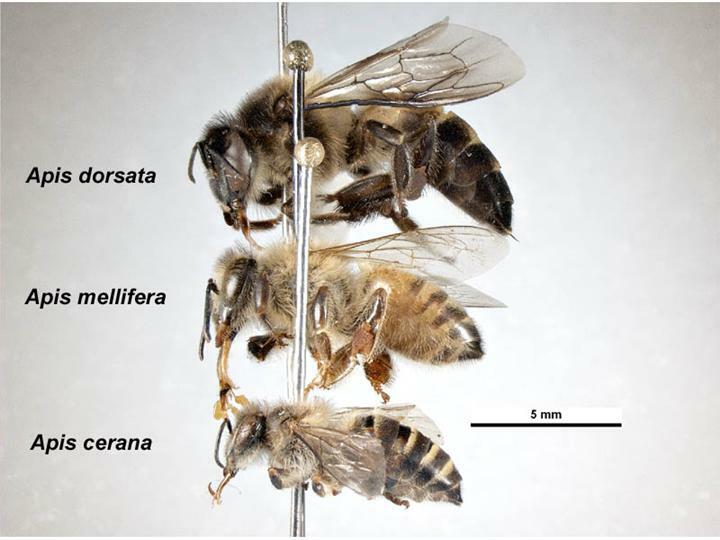 We have another species in the genus, Apis cerana that lives in equilibrium with varroa already utilizing methods for coexistence that may likely be mimicked by mellifera. It will be interesting to see if convergent evolution with cerana will be employed or if mellifera will find it’s own innovative path. The potential solutions/outcomes could be wonderful or terrifying, more on that in a future post. The main point here is all of this can and will be done FOR FREE by bees providing we allow selective forces to do their work. I have pressure from both varroa and Small Hive Beetles in my area. These bees can be caught for free with pest resistance already built in. Am I the only person in the world that thinks this is exciting?!? This is getting long for a single post so I will continue next week with the more news on this that just keeps getting better and better. This entry was posted in Genetics, Posts and tagged bee genetics, genetic resistance, treatment free beekeeping. Bookmark the permalink. Thanks – Glad to be back. Be looking for future stuff and comment it up!